Mmm, this pasta was really tasty. I liked that there wasn’t a lot of different toppings so you could really enjoy the flavors. The braised hen was very tender and the pasta was cooked perfectly. 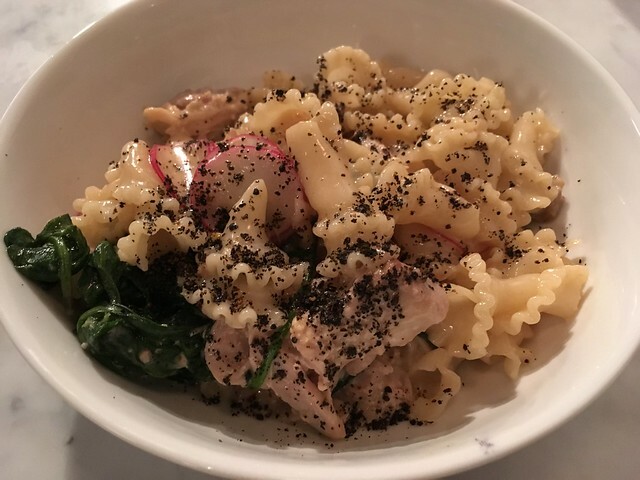 This entry was posted in Barzotto and tagged braisedhen, campanelle, food, italianfood, pasta, Radish, togarashi by vicentesf. Bookmark the permalink.